Climate change is killing Megellanic Penguin chicks of southern Argentina, not just with lack of food, but also with the stifling heat and driving rainstorms. Will it ever get better, or will this be another species soon to be extinct? Mya-Rose Craig, an 11-year-old girl from the United Kingdom, travels the world with her parents, and thus far has spotted 3,000 species. That is amazing for a child to have such an interest in the avian world, but why? Dedicated Mya-Rose Craig from Somerset has travelled the world with her parents, spotting, recording and ticking off thousands of species of birds. Being a male Bowerbird is quite a job. This beauty builds some of the most elaborate nests in the world in order to attract a female, and it is getting to be rather hard to pass on their genes in view of this. National Geographic comes up with quite a photographic layout. This is a natural talent for this bird. To woo a “Mary,” bowerbirds decorate with shells, cans, even pink paper clips. Can you spot Brazil’s Common Potoo? 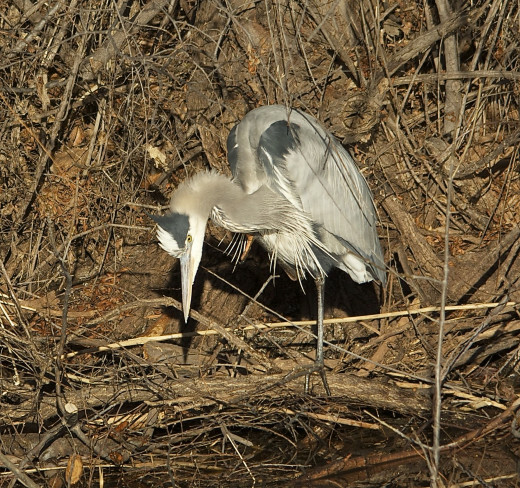 This bird is really in plain sight, and has a chick, no less! 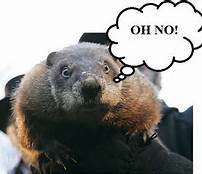 The groundhog says that there is six more weeks of winter left, which I find very hard to believe. Why, you say? Just because it has already been cold enough for an entire season already. We’ve even had a little more snow than usual around these parts, but you know, there are days where I can barely stay out. THAT is a bad sign. However, I have discovered haunts, and they are wonderful haunts at that. 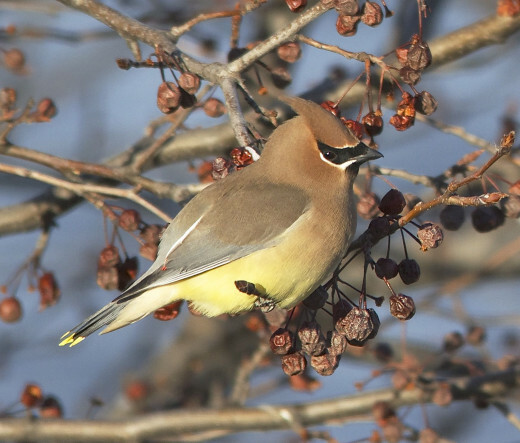 How many of you have ever seen the beauty of the Cedar Waxwing? These are one of the most regal looking birds that we have in this country, yet many people have never witnessed this beauty. The fact is, that they can be seen all over the U.S. How’s that for such wonderful photo opportunities as these. Get out there, and get some pictures. What else have I managed to spot this week? 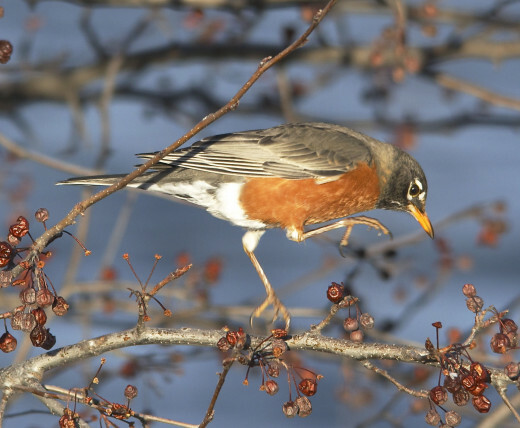 The American Robins are out of their neighborhoods, no longer hiding within the confines of greater warmth. They are itching to explore, to set up housekeeping, to say goodbye to this frigid season. 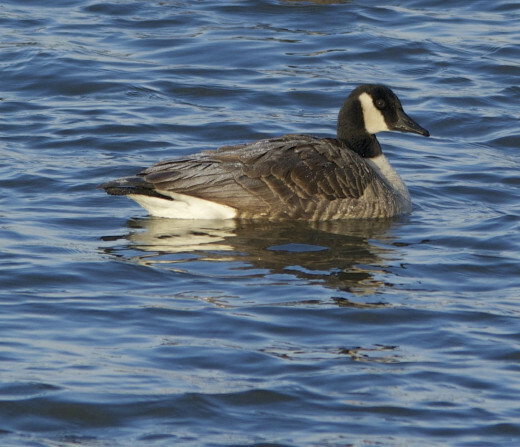 The Canada Geese are also ready to begin a season of new life, instead of standing around and waiting for spring. However, on some o these days, that is about all the options that they have. We are all ready for change, and the sooner the better. There are so many things that I have been unable to see this year, but on the other hand, I have been grateful for the new and wonderful opportunities that I have had. In many ways, it has been like a breath of fresh air to see all the things that I have. Even though the cold has drained me in so many ways, it has managed to invigorate me to the point of so many priceless discoveries. 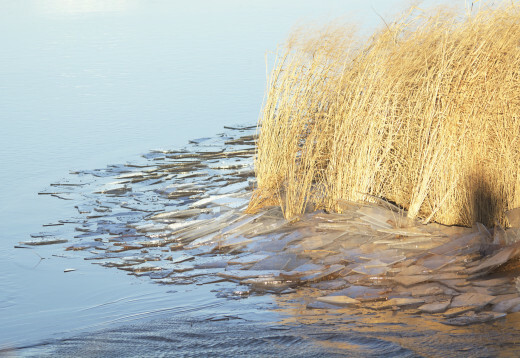 Winter has given nature the downtime that she needs to rest, in order to renew life in the coming months. I look forward to her offerings, especially the new discoveries that always come along with these things. I, for one, am just like the kid in the candy store, waiting to see what new surprises are in that store of life, just for me. It will always be sampled, and its wonders will stay with me for as long as that flavor remains. Yet, I will be able to search for more. Maybe I’ll find additional supplies, but there will always be something else to take its place if there is not. Spring is surely on its way, that ultimate harbinger of hope and resilience. Bask in its offerings and search for the life that it has to offer. Listen to her gifts of new life, see the greenery that has been left for you in an uncommon place, and treasure the scents of the best that is yet to be. New life is soon to break forth in a frenzy of color, stereophonic sound, and may the sun shine upon you in every way as that happens in your cities and towns. Embrace it with open arms, see it with all your senses, and share it with your loved ones. In turn, these wonderful things will impassion and delight you like only they can. I will leave you as the caretakers for the new life about to unfold. Keep your eyes on the ground and your head in the clouds until next time. Happy birding, and may you relish the new life about to be bestowed upon you. I Want to See Boomer Lake! Simply remember, if it has a red bill then it is the female cardinal not the waxwing. Hey, teaches! I can see why you'd mistake the waxwing for a cardinal, as they are very similar in coloring to female cardinals. You'd definitely see a difference with that striking color, though. They are all over the country, sometimes traveling in flocks, especially in the spring. It is supposed to warm up here, so hopefully, it will in your area, too. 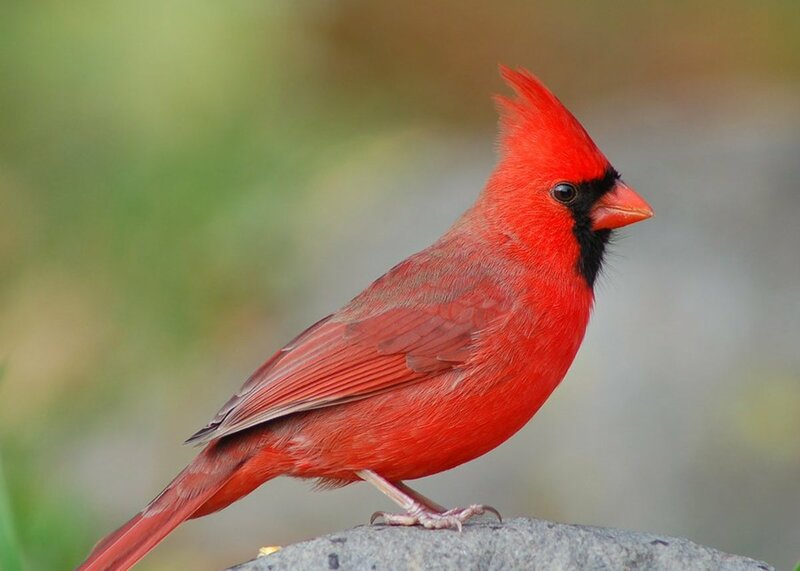 I believe I have seen the Cedar Waxwing before but mistakenly took it for a cardinal. The robin will be very welcome sight up north this spring. Suhail, I don't do any of that either. I attended a showing of Tom Ulrich's at OSU, and he admitted that he used Photoshop. What did they do in the old days? Their shots STOOD, and I shall do the same. Deb, I vaguely recall you telling me that you don't do post shoot photo-processing (at all). Do I remember correctly? I don't believe in photo-processing using photo-shop tools and was wondering if someone agrees with my philosophy hahaha. Yes, Dave, it IS worldwide. I am not one to say 'I told you so,' but I did…I will feature it again. Another enjoyable visit enhanced by your fantastic photography and your very informative passage about the climate change in the southern hemisphere. It seems that this change is world wide and fluxuation, gains and losses will be ever changeable over the next few decades. Great work Deb. Voted up. So true, Suhail, kids need to be out and about in the sunshine. Here's hoping that you get a bit of a reprieve from too much bad weather. As always, Mary, thank you for the votes. I hope you get the share button back, as well. The Cedar Waxwing is remarkable, and I hope that you get to see it, too. It should be in your area. Thanks, Eddy. The slake always awaits! Deb, no chance of spring in another 6 weeks here in southern Ontario-western NY-eastern Michigan region that I travel in a lot. 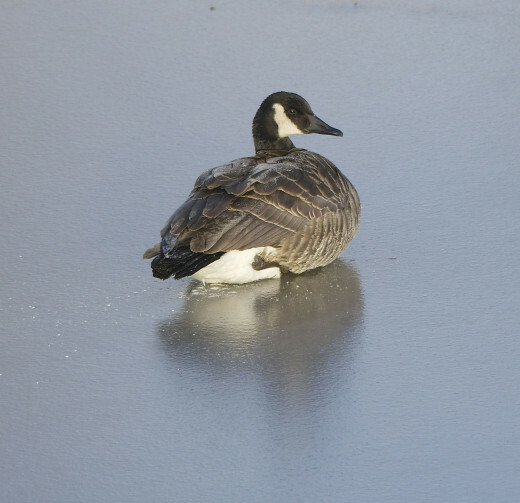 Our waters are frozen and there is at least 6 inches of snow on the grounds. Your article opened up beautifully giving us another news on a man-made tragedy in climate change befalling a helpless bird. 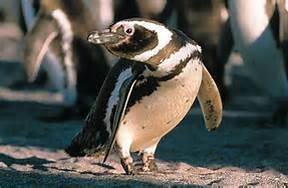 I wonder what will wildlife conservation people of Argentina come up with to help the penguin chicks. And that kid Mya-Rosa Craig has enough material already to come up with a best seller anytime she wants. I wish all children of today were like her rather than sitting at homes playing electronic games. My first question is how did Mya-Rose's parents retire at such an early age? Her father is retired at age 45! Obviously she is amazing. I went to the article and the picture of her as, almost a baby, standing bird watching is a true eye opener...what we can learn at any age. I've never seen the cedar waxwing but you can be sure I'll be on the look out. It is a beautiful bird and as always your photos are stunning. This is a very philosophical hub Deborah...may the sun shine upon you as well. Another great hub and here's to so many more. Have a wonderful day. Agreed, Connie. It has been Robinville around here, but I have not been out for several days since the cold has been so bitter. If I'm not out, the birds aren't out, either. Thanks for sharing, Nell. Every share means that wildlife will have a greater chance in surveying. I appreciate you! Hey, Kris! Glad you like…check out White Rock Lake story if you haven't already. Thanks Deb, glad I took a few minutes to check in with you. Lovely photos from the lake, and the potoo was awesome! Thanks, Alicia! I don't know about your area, but it sure has been bitterly cold around here for the past couple of days. It was so cold when I walked home from work last evening, it made my empty cup freeze in my hand. The wind must have made the 12 degrees feel like 0. 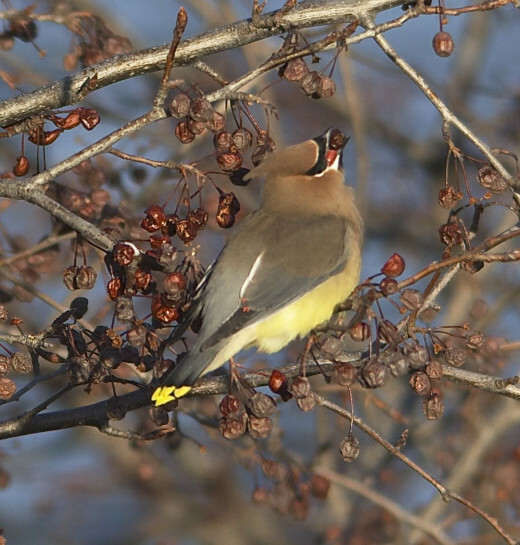 I love the big photo of the cedar waxwing, Deb. What an attractive bird! As usual, I enjoyed reading the bird news from around the world and the news from Boomer Lake. Of course, I enjoyed looking at your photos as well! Another wonderful article. 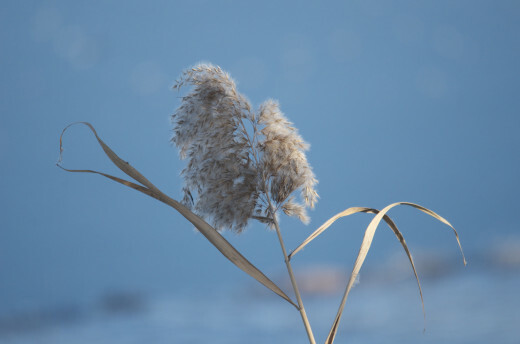 I just love your reflections on winter and the upcoming months of spring!!! Thank you for always bringing us the latest news and amazing photos. Kevin, 2013 was a crazy year, and 2014 will be, too. Everything is in flux and confusion, but I don't think that it is over for a long time to come. Great job Deb. 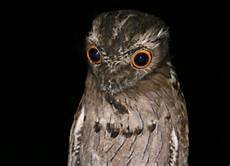 My favorite photo and story was the Common Potoo. 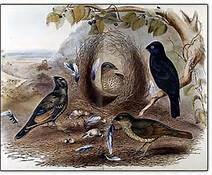 I have heard of the Bowerbird before but I cannot remember where. They are funny birds. 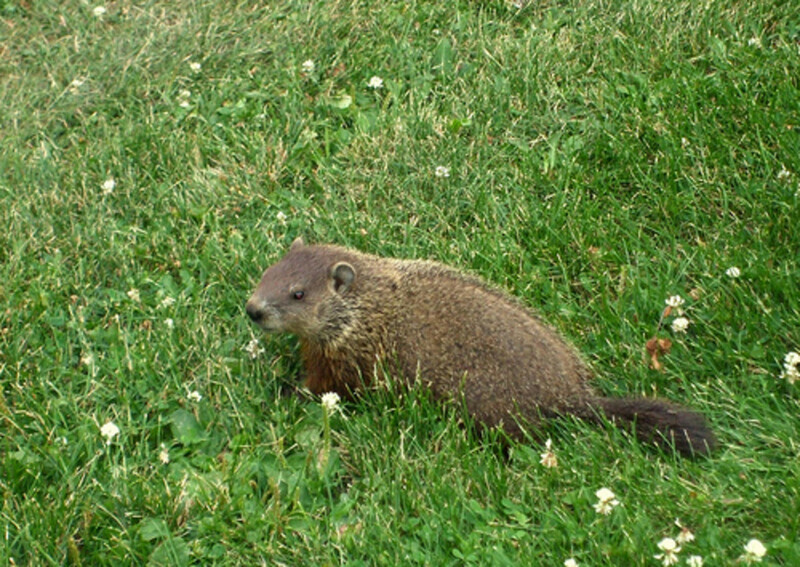 I do not believe in the groundhog either, I never have. Maybe it is true for the PA area and north but after we had two Arctic Blasts and since it is a week into Feb. then I do not think so. Keep up your good work! Ooops, that is a Cedar Waxwing. Yes, that child is getting one AWESOME education, AND it is a 3-fer week. I believe that you missed the poem? a little pissed with the canadian goose for flying away like a chicken..
and yes - that little girl is amazing - she's got a better education than anyone sitting behind a desk in school..
Kim, environmentalism is on the upswing! The more of us that climb on the bandwagon gives the earth a better chance to prosper. I have never heard about little Mya-Rose Craig, but thanks to your wonderful hub, am educated to the next generation of environmentalists in training. Hats off to her parents! 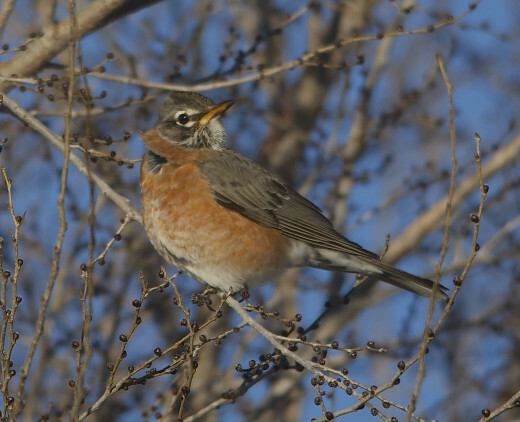 Fat female robins do mean eggs in most cases. 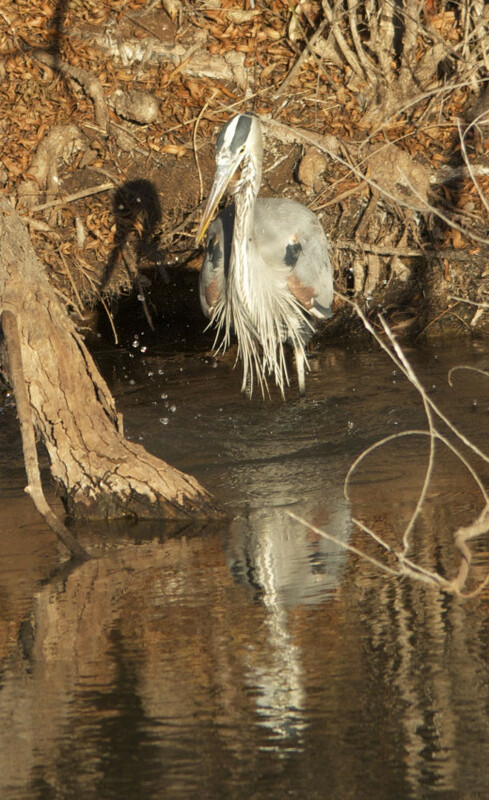 Some of them do migrate, but many will just move to area neighborhoods. We could have some springlike weather, then be hit with bad weather again, which could mean that birds will lose their first brood. 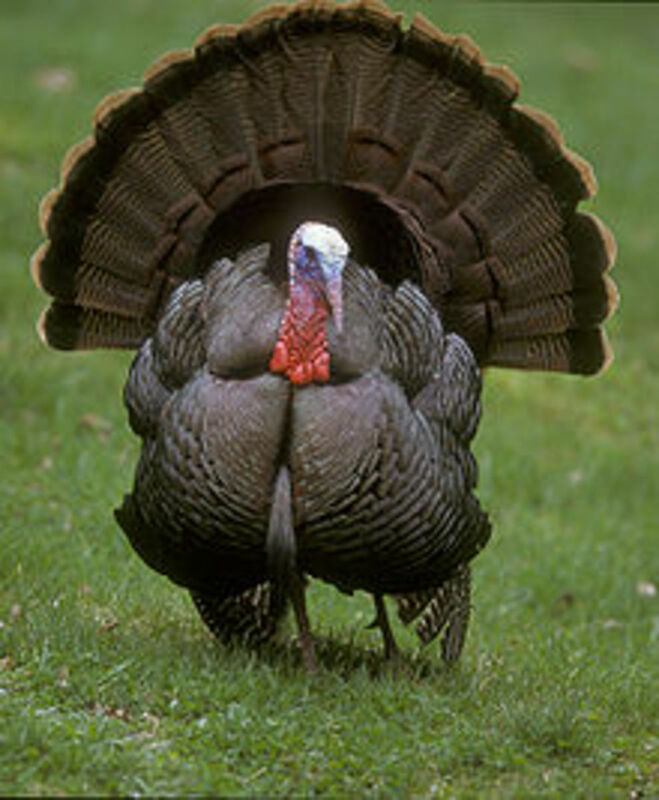 However, if it is cold in your area, they could just be fluffing up their feathers for warmth. Thanks, Billy. I hope the columns help, too. I love the Potoo and all your regulars of course. Seeing the robin reminds me I have been seeing really fat robins and it is the first I have seen in many weeks. Do they migrate? Could they be ready to nest now? If so does that mean an early spring? Great information about the southern hemisphere....climate change is worldwide and it is real. Raising awareness is the first step towards change....hopefully your fine articles will increase that step in the very near future. Well done Deb!